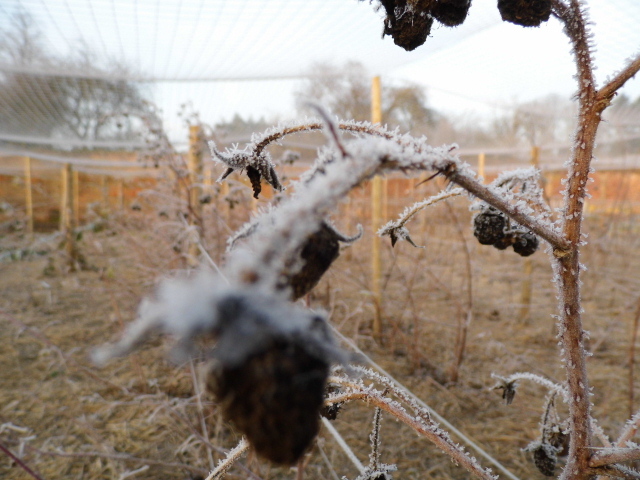 The first photo shows the Autumn fruiting raspberry. These will be pruned down in the Spring in order to get them to fruit again in the Autumn. 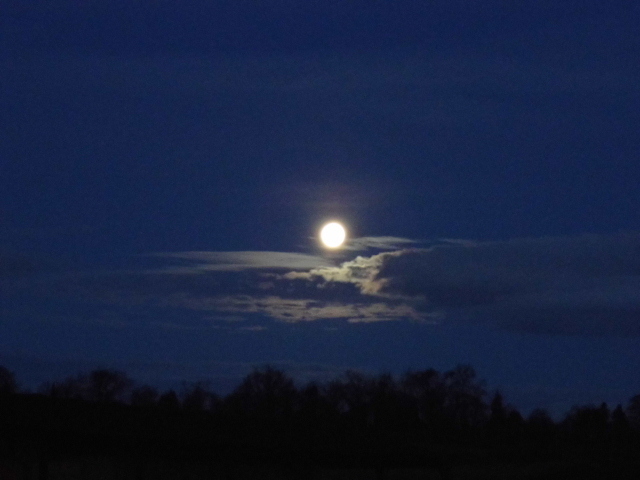 I think the next is fantastic – the moon over Apley Walled Gardens taken at around 7.30 on a cold & frosty morning. I love starting the day early, I’m very impressed Phil was out & about that early ! Look at that dark blue. It makes winter look beautiful. The third photo is Jason who works on the Apley Estate Yard team, maintaining our rented properties, but who was formerly a game keeper & is still very much our deer expert. Here he is on the hunt for moles. Phil needs to be on constant guard for moles as they will enter under the garden walls (sounds like Peter Rabbit) as well as those of the polytunnel. 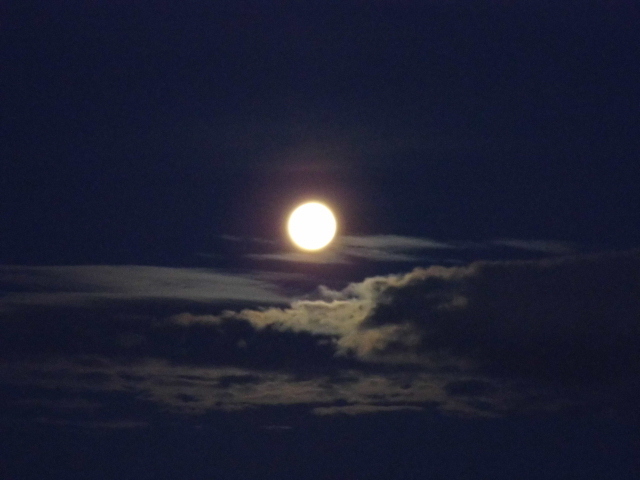 Then they burrow along the rows of seeds & eat the roots of the soft fruit. Grrrr ! 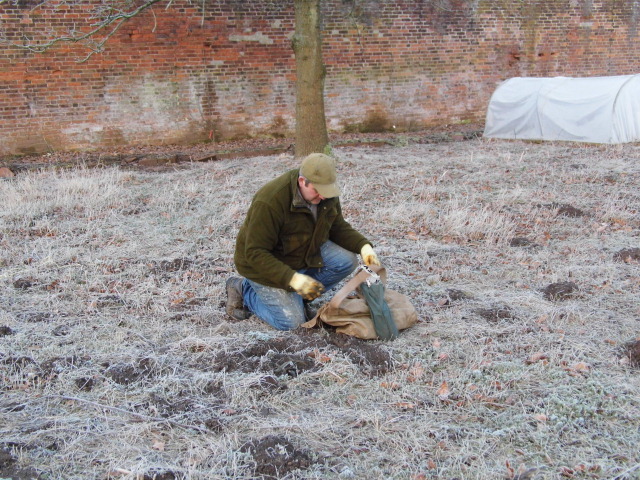 Lucky for moles, finding mole catching is quite an art & finding a mole catcher these days is too ! It reminds me of a lovely story about the Apley Estate teams of mole catchers working about 70 years ago. It was told by one of the Estate’s oldest tenants when I went to record their memories of life & work on the Estate.